Hola! I hope that your weekend is off to a great start! Relaxing, cleaning and catching up on emails/SNC work is going to keep me busy for the next few days…all good :o) Today I’m sharing two pics of naturals (atleast they appear to be) I spotted on Refinery29. I adore this site because it has a bit of everything—fashion, travel, shopping, news and as of late hair! 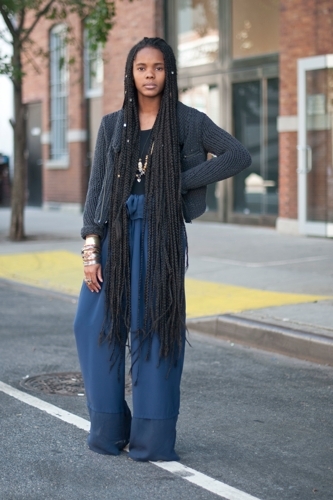 Check out these two chicas with not only gorgeous tresses but cool style as well. Like the outfit better, too.